Kioa is a speck of rock just off the east coast of Vanua Levu, Fiji's second main island comprising 80 households. A focal point of the community is the school but that was in dire need of a renno. 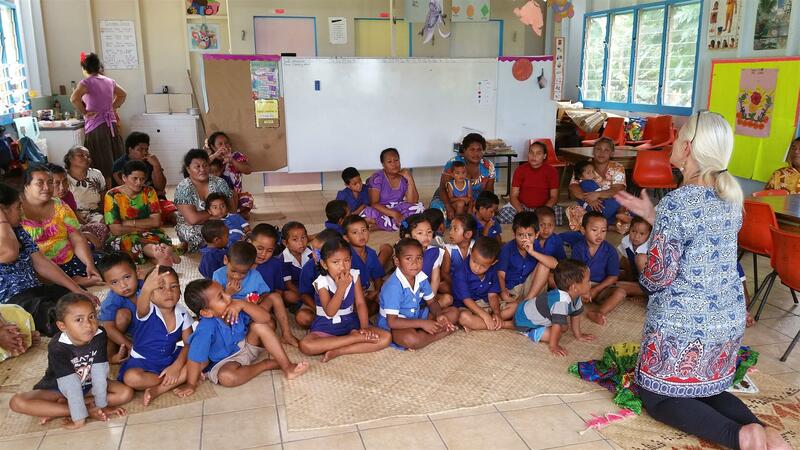 Kioa Island Primary School has five teachers providing classes for 106 students from kindergarten to year 8. Their record of academic achievement is outstanding. After year 8 the students either finish school or they board on the larger island of Taveuni to continue their education. 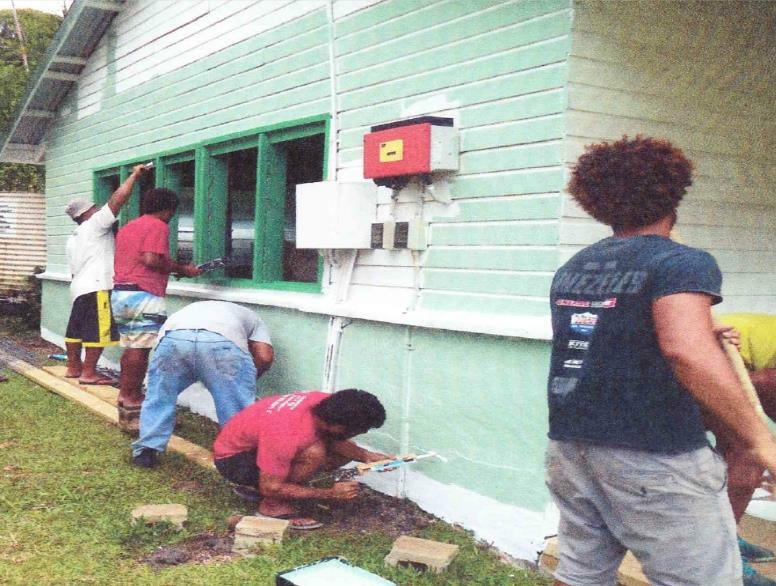 The project to upgrade Kioa Island Primary School was wide ranging but most importantly it needed a good clean, essential repairs and then a bright new coat of paint. Taveuni Island Rotary and their Raikivi work team formed the core of the organisation and were very welcoming of the team that travelled to lend hand-on support from Waikato Sunrise Rotary and also assistance from Rotary Australia World Community Services. As with all Rotary projects run by Taveuni Island Rotary, the community were very much involved throughout ensuring full ‘ownership’ of the renovations and ongoing sustainability. All involved did maintenance and building projects to bring the school up to standard and make the community proud. Notably this was the 70th Anniversary of the first settlers from Tuvalu to arrive. Outer island projects such as this are more complicated due to logistics and weather, all involved planned well and an excellent result achieved. In their own words the team from Waikato Sunrise Rotary explain their involvement in this wonderful project. "There is nothing more powerful than the heart of a volunteer. The school now stands as a beacon for the future generation of this community as they now enjoy a renovated school and strive to pursue their dreams in this establishment."